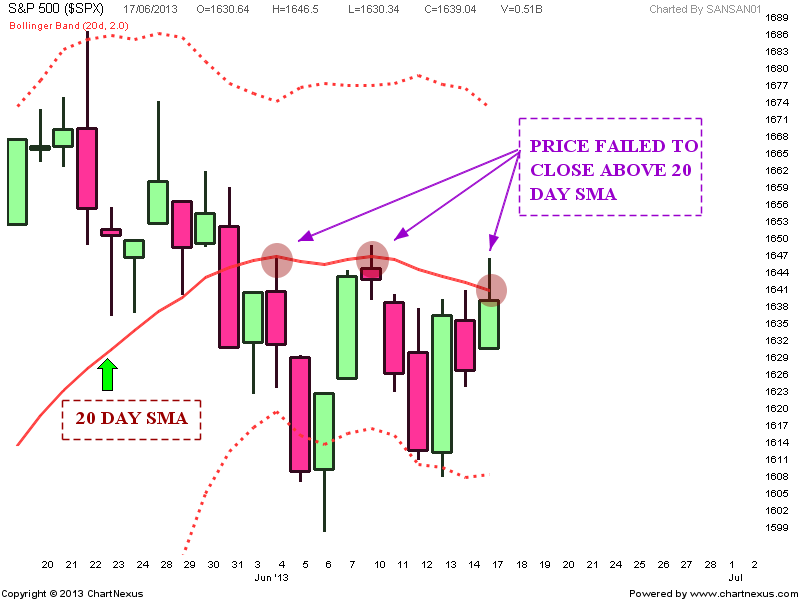 SPX Getting resisted at 20 Day SMA again. Hour chart shows price showing weakness near 50% Fib level. 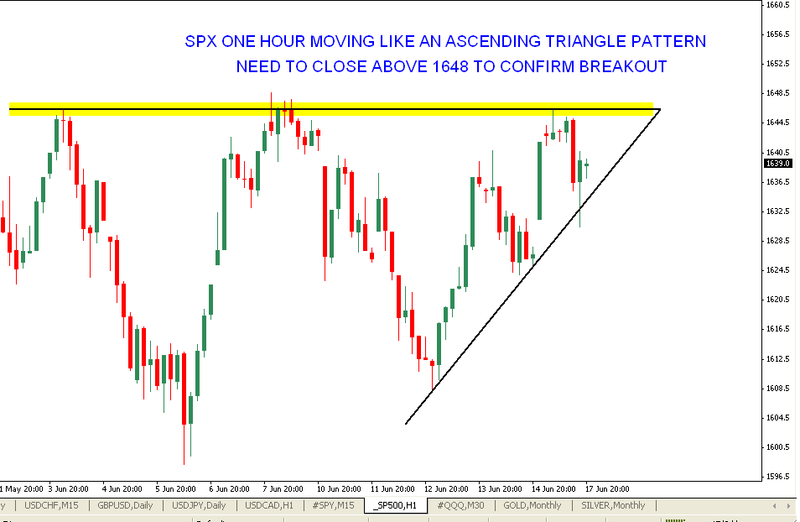 Hour chart for now is moving like an ascending triangle pattern. 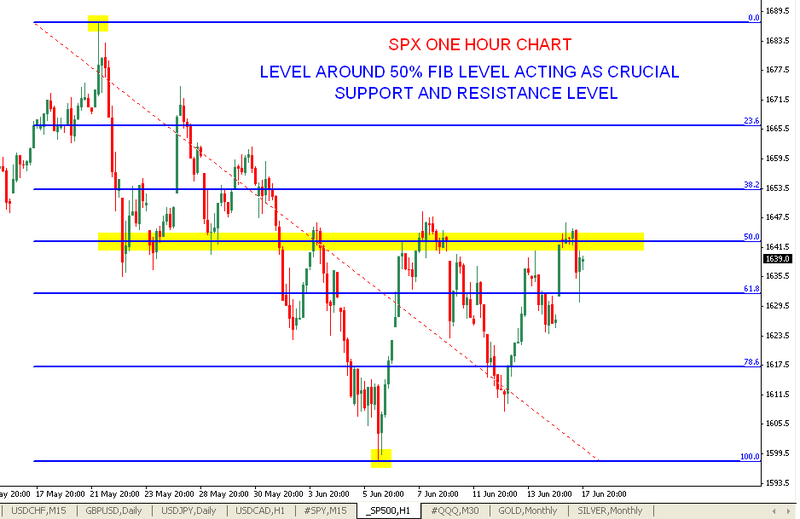 Support levels are getting higher, if this continues a breakout is possible. 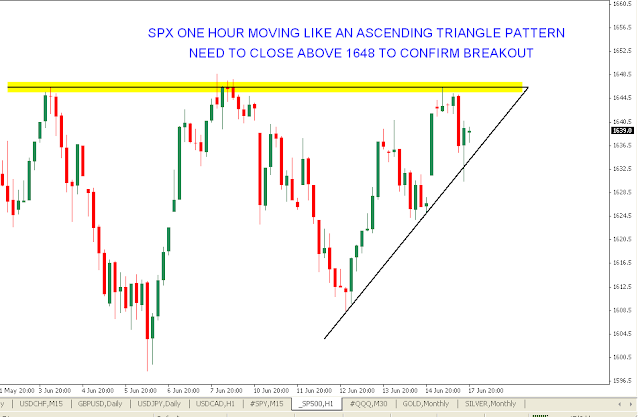 Weakness below 1630 Strength on closing above 1648.